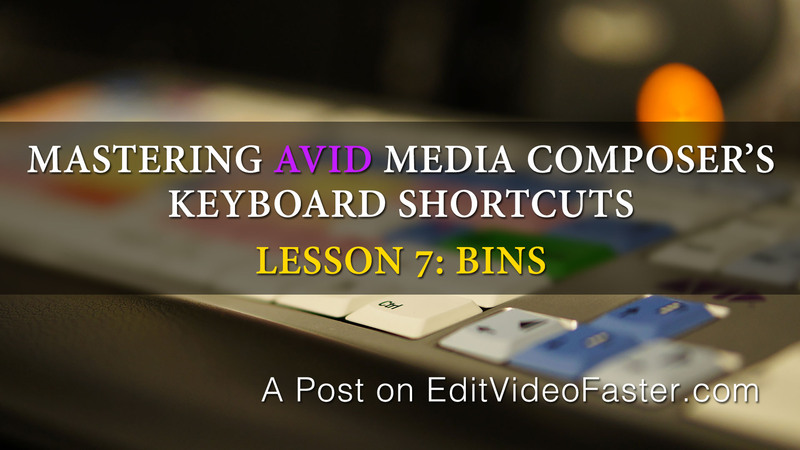 This tutorial will teach you the different keyboard shortcuts for using Bins in Avid Media Composer. You’ll learn how to create a new bin, create a new sequence, adjust the size of frames in a bin, sort bin columns and more. Leave a comment if you have any questions or shortcuts to add of your own!